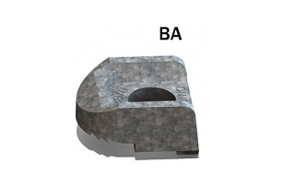 The type BA is designed for use with steel sections with parallel flanges. It has a recess to capture the bolt head. 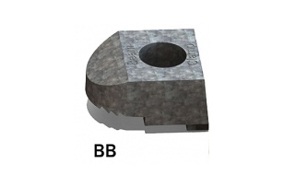 The type BB is designed for use with steel sections with parallel flanges. It has a flat top to accept either bold head or nut. The BB Long Nose is very similar to the standard type BB but with an extended nose. This distributes more contact on the flanges of parallel beams providing contact closer to the web. 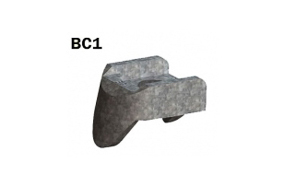 The type BC is designed to hook over the toes of flanges, angles and channels. It has a recess to capture the bolt head. 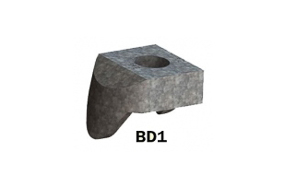 The type BD is designed to hook over the toes of flanges, angles and channels. It has a flat top to accept either bolt head or nut. 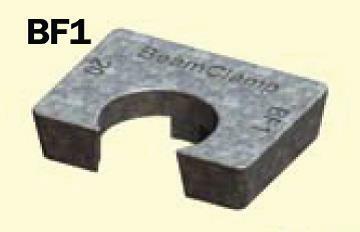 The type BK is a two-part adjustable clamp designed to be used when flange thickness is unknown or varies. 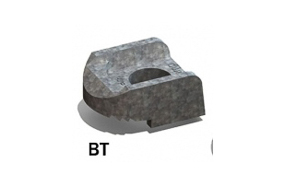 The type BT is designed for use with steel sections that have tapered flanges. It has a recess to capture the bolt head. 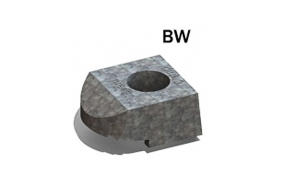 The type BW is designed for use with steel sections that have tapered flanges. It has a flat top to accept either bold head or nut. The standard packings are designed to be used as shims for BA, BB, BBLN, BT and BW. 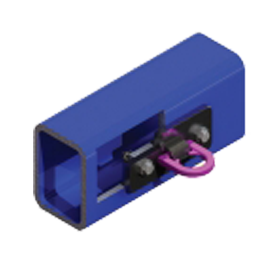 Provide support to the underside of clamps to ensure they clamp on to the steel at the correct angle. 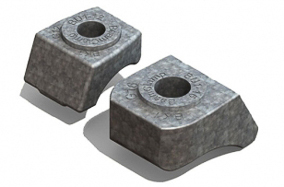 The BU/BV is designed to be used with threaded rod when pivotal action is required. 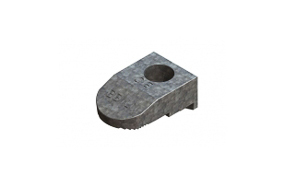 The type BY is designed for high friction and high tensile applications. It is designed to work on both parallel and tapered flanges. 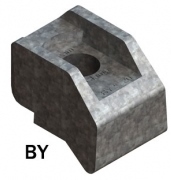 These packings are designed to be used as shims for the type BY. 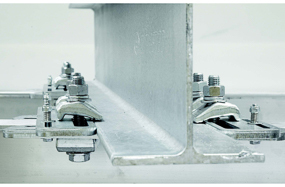 The FastFit is an off-the-shelf assembly for connecting beams together. 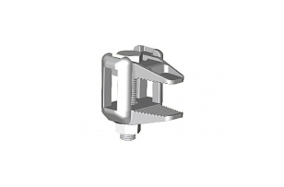 The rigging clamp is a self-adjusting ready-to-install rigging assembly. The type BL is designed to connect directly to steel sections.